Georgia Regents University’s Dr. Christopher Botero was named 2014 Professor of the Year by the Georgia Chapter of the American Association of Teachers of Spanish and Portuguese. Since 1917, AATSP has promoted the study and teaching of Hispanic, Luzo-Brazilian, and related languages, literature, and cultures. The annual award recognizes professors with a particular sensitivity to students’ needs and abilities as learners of a second language, who demonstrate leadership in foreign language education within and beyond the local community, and actively pursue professional development including study abroad opportunities and foreign language programs. 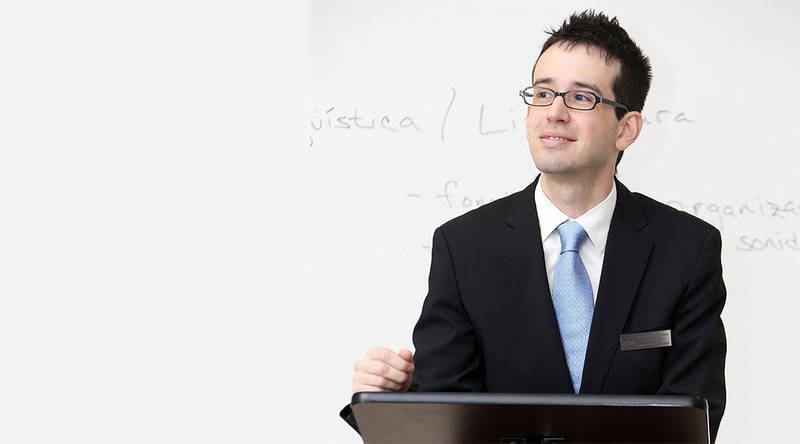 Botero is an Assistant Professor of Spanish in the GRU Department of English and Foreign Languages. Originally from Long Island, New York, he attended the State University of New York at Stony Brook for his undergraduate degree and pursued graduate degrees in Hispanic Linguistics at Pennsylvania State University. He specializes in phonetics, phonology, and second-language acquisition, and regularly teaches Foreign Language Teaching Methodology courses.